The AP-S15HR has been designed to fit into Atlas half width rack equipment racks. The AP-S15HR meets or exceeds most installation requirements for AC power distribution and equipment power protection. 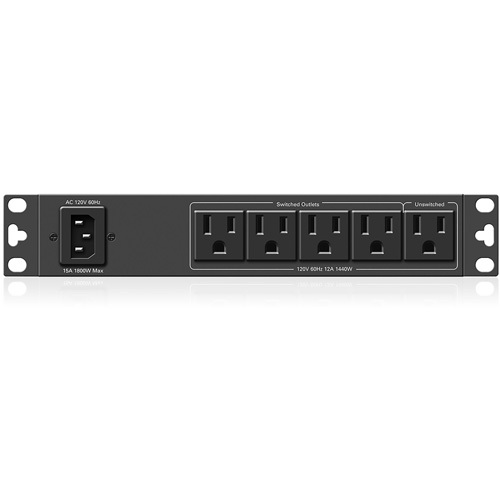 The AP-S15HR Half Rack design offers power management control, scalable power cord length, noise filtering, spike/surge protection and six AC outlets making it the most compact, cost effective power management protection system on the market today. The AP-S15HR features noise filtering for unwanted Radio Frequency Interference (RFI) that is commonly introduced into AC lines by nearby radio transmitters or wireless products. The benefit of the RF Filter can be seen on video products and heard audibly by reduced static pops and external signal interference. 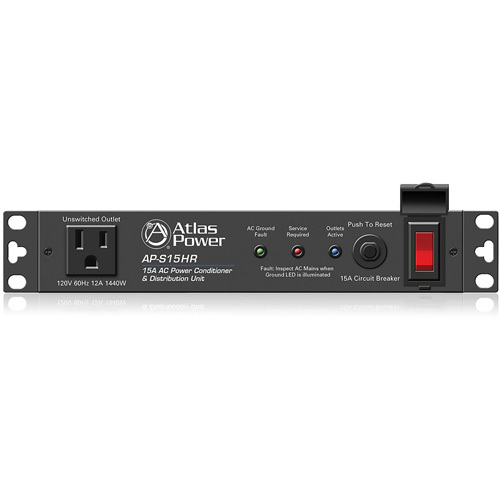 The AP-S15HR is unique by allowing you to select the power cord length that is required for the installation. A removable 12' IEC power cord with a retainer bracket is supplied with the unit.